Bursting with vivid colors and realistic lighting effects, Tunic’s charm is sure to catch anyone’s attention while walking through a busy show floor. That is exactly what happened to me while exploring PAX East this year. I was immediately pulled in by its aesthetic and by the end of my demo, Tunic had its hookshots in me. 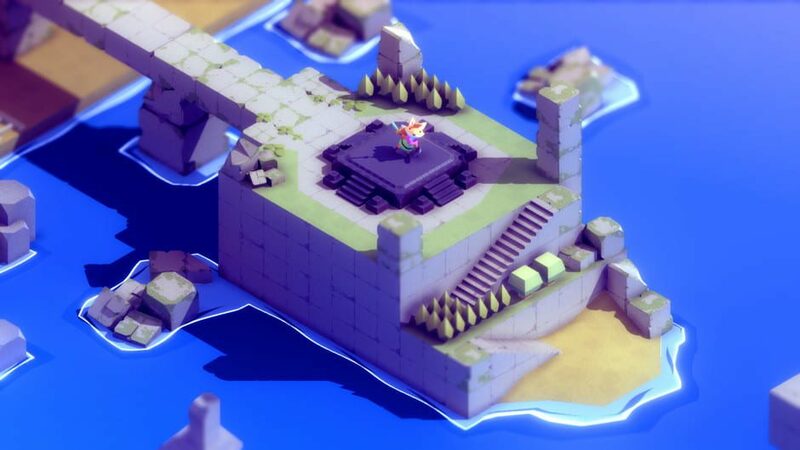 Tunic is an isometric action-adventure game that recreates the magic of early Zelda titles. 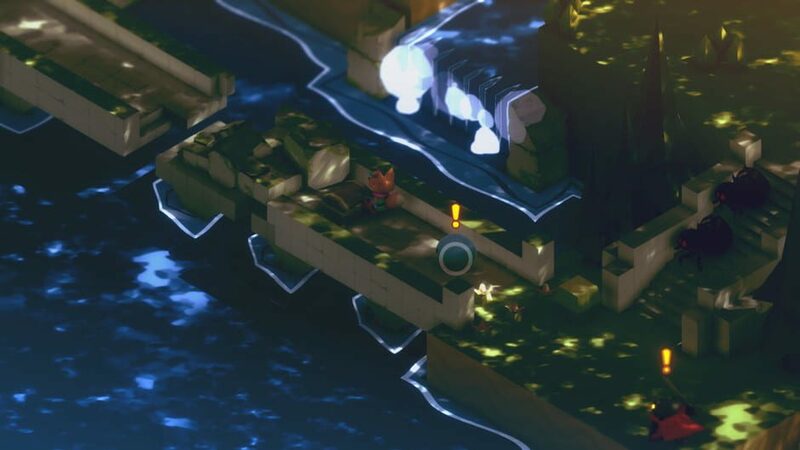 While it may look like a charming little game thanks to the lovely polygonal art direction, Tunic’s open exploration, focus combat, and lack of communication threw me against the wall and forced me to adapt any preconceived notions I had about the genre. Paying homage to Zelda games of the past, right down to the name, Tunic dropped me into an unknown world and respected my intelligence by allowing me to discover what the world had in store for me. Little did I know that my intelligence was going to be challenged as my first playthrough was a bit of an embarrassment. 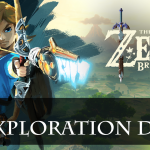 Arrogantly, I thought I knew what to expect from this Zelda-like and how it wasn’t going to start until I discovered the sword. So I moved swiftly through the first area by dodging past enemy encounters until I reached a temple. Surely this is where I would be granted the sword. But it wasn’t until I rushed deep into the temple that I discovered the sword and by this time, I had lost one of my two precious heart containers. Needless to say, I didn’t make it far once I had the sword since I was new to combat and I was far past the opening area. Humbled and learning from my mistakes, I started my second playthrough slowly and explored everything that opening area had to offer. My exploration was rewarded as I discovered a wooden stick that introduced me to combat and a health potion to regenerate lost heart containers. 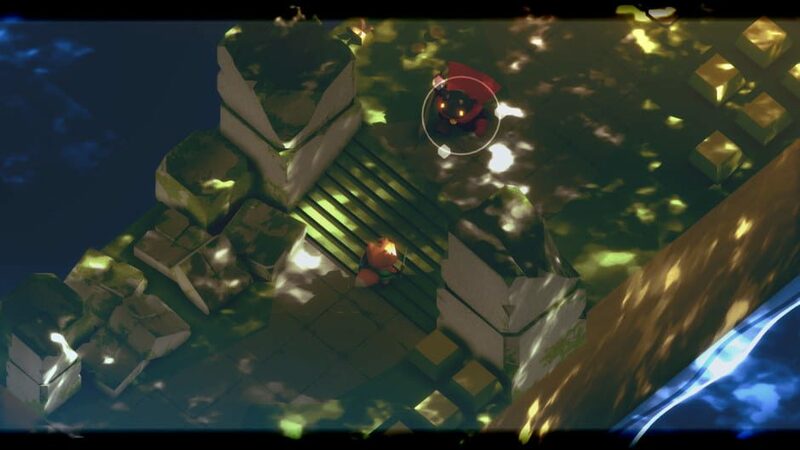 Tunic continued to reward exploration with secret areas within the temple containing more potions and the ever crucial shield. A discovery that I found refreshing within the temple was an in-game instruction manual. 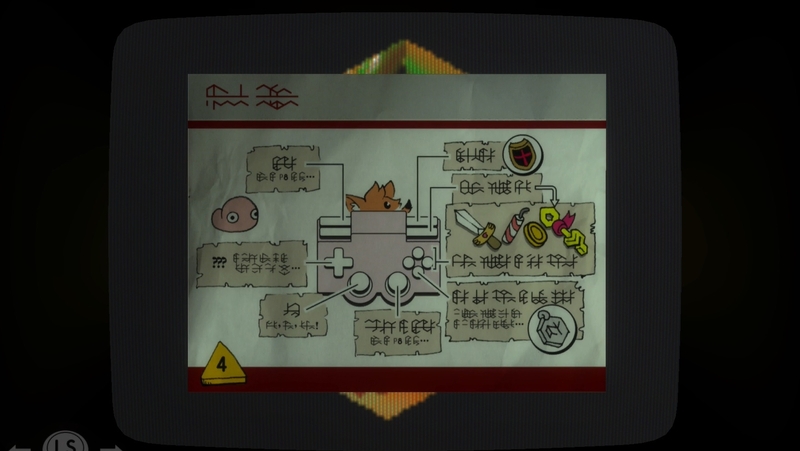 Similar to cooking posters in Breath of the Wild, this scrap of paper informs the character and thus, the player, on how to play the game, despite it being in a fictitious language. With my resources more useful, I was well-equipped to tackle the temple that lay in front of me. Despite feeling completely prepared, fear still crept its way into my mind upon every new enemy encounter. Unsure of how enemies were to attack, caution was taken with every swing of my sword and dodge roll. The use of lock-on targeting and free combat gave me the choice to hone in on an enemy when I needed to block or freely roam around in order to get an advantageous position on an enemy. Each of the enemy’s attacks gives off a quick glow that gave me the choice to block, roll out of the way, or risk another attack in hopes to defeat the enemy before its attack. The enemy’s attack patterns are learned quickly but Tunic does an amazing job of introducing a new enemy once I became familiar with the previous one to unceasingly keep me on my toes. The enemies that I encountered varied from small animals to fully equipped knights and ultimately an enormous temple boss that tore through my defenses. It all has me yearning for more time with the game. While I thoroughly enjoyed my time with Tunic, I was underwhelmed by the lack of puzzles within the demo. There wasn’t much in the way of difficulty and the only ones I came across included flipping a switch that opened a door to a new area. At this time, it is unknown if there will be more challenging puzzles in the final version, but here’s hoping. The most bewildering puzzle I encountered was the plot of Tunic. 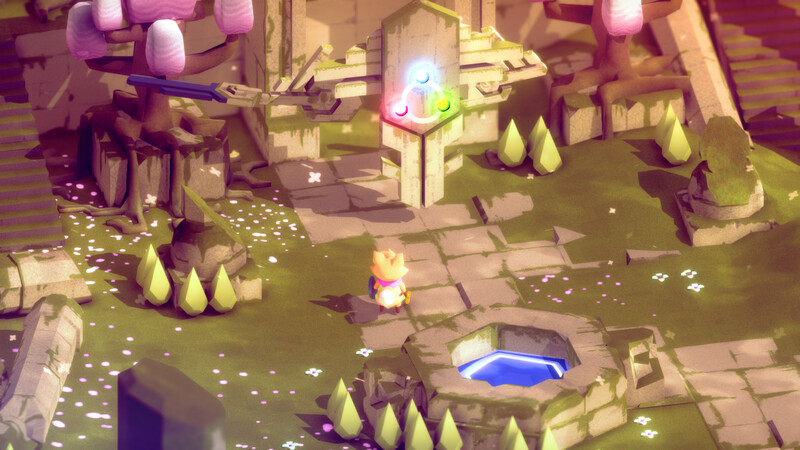 Little is known about Tunic’s story except that you play as an anthropomorphic fox in a world that you do not belong. The in-game language is mysterious to both the character and the player with the only hints being reminiscent of hieroglyphics found scattered throughout the world. However, the lack of communication left me sympathetic with my fox companion which ultimately would unify my bond with the character. Despite my lengthy hands-on experience with the game, much about Tunic is still clandestine and it seems we won’t discover more until it’s released sometime in 2019. For now, check out the trailer and let us know what your thoughts are on Tunic.